Mobics specializes in the design, development and provision of innovative applications and value added services for mobile, Web and pervasive environments, with an emphasis on geographic and contextual information. Mobics invests in knowledge and people to lay the foundations for successful long-lasting collaborations and offer innovative solutions on the cutting edge of technology. The Mobics R&D team is led by internationally well known researchers with a long record of research contributions in the areas of mobile and pervasive networking services and applications, and participation in many international, national and regional R&D projects. 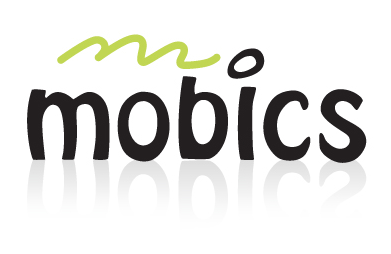 Mobics combines top-level multidisciplinary expertise in novel ways to create leading-edge technologies and solutions. Its researchers and affiliate partners are active members of the international research community with contributions in many research areas. Mobics can undertake the full implementation of a service lifecycle and provide top-quality novel services for mobile and Internet users. The main focus is on value added services with a strong innovation component (e.g., based on state-of-the-art technologies, involving complex algorithmic tasks, requiring integration with specialized hardware). The emphasis is on context-aware services, such as LBS and sensor-based services. The technical staff of Mobics has a long experience in the general area of mobile services, mobile and pervasive computing, location based services, middleware development and enterprise systems. Mobics has high expertise in requirements analysis, specification, design, development and optimization of specialized IT solutions.